MIDDLETOWN, NJ -- On September 29th, the night of the New Jersey Titans’ home opener, all Middletown residents were invited to the Middletown Sports Complex to watch the Titans take on the Johnstown Tomahawks free of charge. The Titans created a Middletown-centered night to connect with their fans and the fans responded by creating an unparalleled atmosphere for opening night. The Mayor and two Township committee members partook in a ceremonial puck drop before the game; the color guard was presented by a local boy scout troop; and the national anthem was performed by Middletown resident Sarah Hopwood. The highlight of the pre-game festivities though was the honoring of the Middletown U12 Little League Team that won the state championship and nearly advanced to the Little League World Series in Williamsport, PA. That team rostered Alfred Delia, who became a global sensation after his “I hit dingers” intro during a regional game went viral. The Titans had the team come by the locker room before the game to chat with the little leaguers and make the experience memorable for both sides. 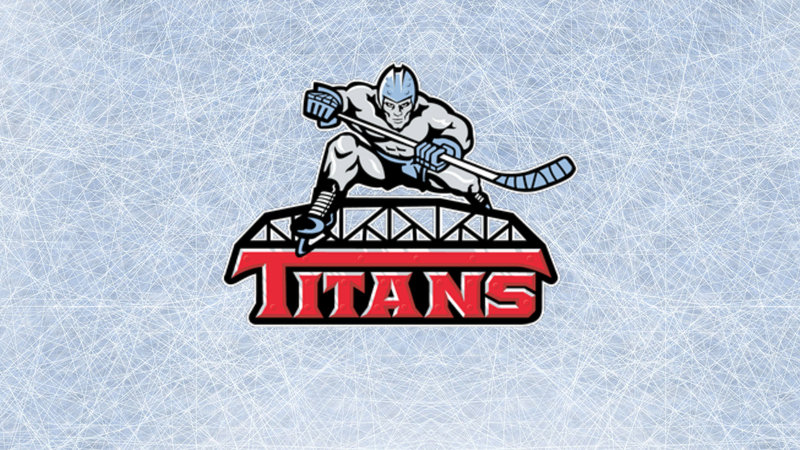 Sadly, the Titans, continued the up-and-down start to their season, losing the game 5-2. The Tomahawks capitalized on early Titans’ miscues to take a quick 3-0 lead in the first period and never looked back. Part of that can be contributed to their opponents as the Tomahawks are a veteran-laden team fully equipped to pounce on their opponents’ mistakes. But the other part is a Titans team trying to find their way in the early goings of the season. The Titans have just six non-rookies on their 2018-19 roster, but have veterans scattered throughout all levels of the team, including goalie Matt Ladd. In four starts, Ladd, a Colorado College commit, has posted a 3-1-0 record with a 2.49 goals against average and 0.922 save percentage. He has been a steadying force for the Titans, building off of a 2017-18 campaign which saw him post a 2.85 GAA and a 0.907 save percentage. The Titans enter the second month of the season with a 4-4-0 record, one point ahead of the Maryland Black Bears.